Home » Toys and Collectibles » Skeleton Crew Studio Taking Pre-orders for Exclusive HEAD LOPPER Vinyl Statue! 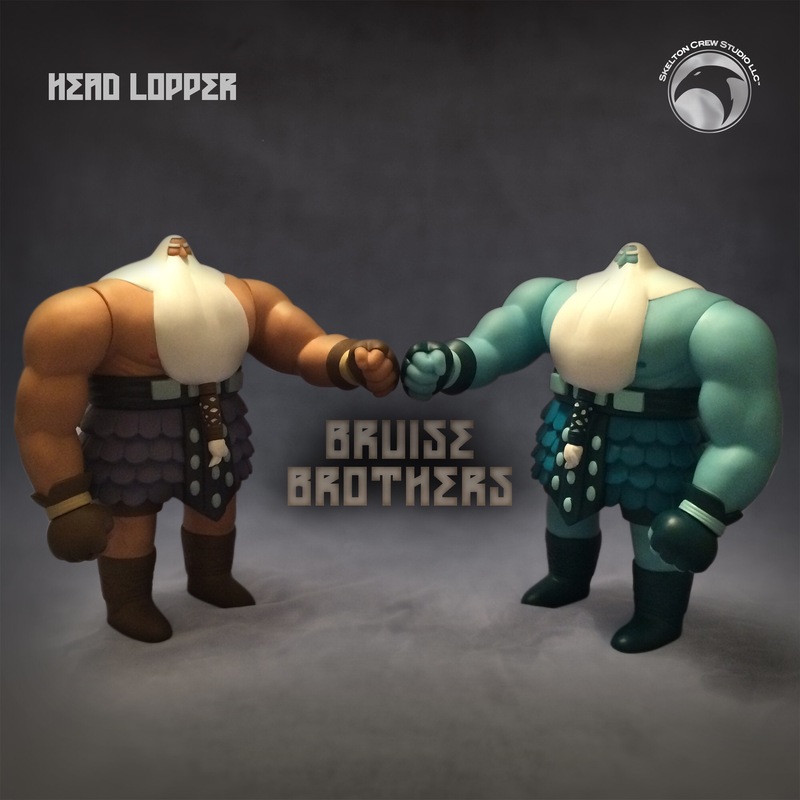 Skeleton Crew Studio Taking Pre-orders for Exclusive HEAD LOPPER Vinyl Statue! Skelton Crew Studio, a comic book replica studio based in the wilds of Maine, has collaborated with “Head Lopper” creator Andrew MacLean to create a brand new collectible based on the book’s stoic hero, Norgal! This officially licensed figure will stand 9-inches tall with four points of articulation in the shoulders and wrists for fist-pumping poseability. The studio is releasing two versions, a limited edition based on Norgal’s traditional appearance in the comics and a Bog Blue variant designed by MacLean. Bog Blue Norgal will be hyper-limited, available only during the month of June. Skelton Crew Studio has been making vinyl figures since 2012 when it released the original pink 6-inch vinyl Chog from “CHEW,” but this release marks a pair of firsts for the studio. This is the first vinyl with articulation and it’s their first collaboration with MacLean. Skelton Crew looks forward to more of both. 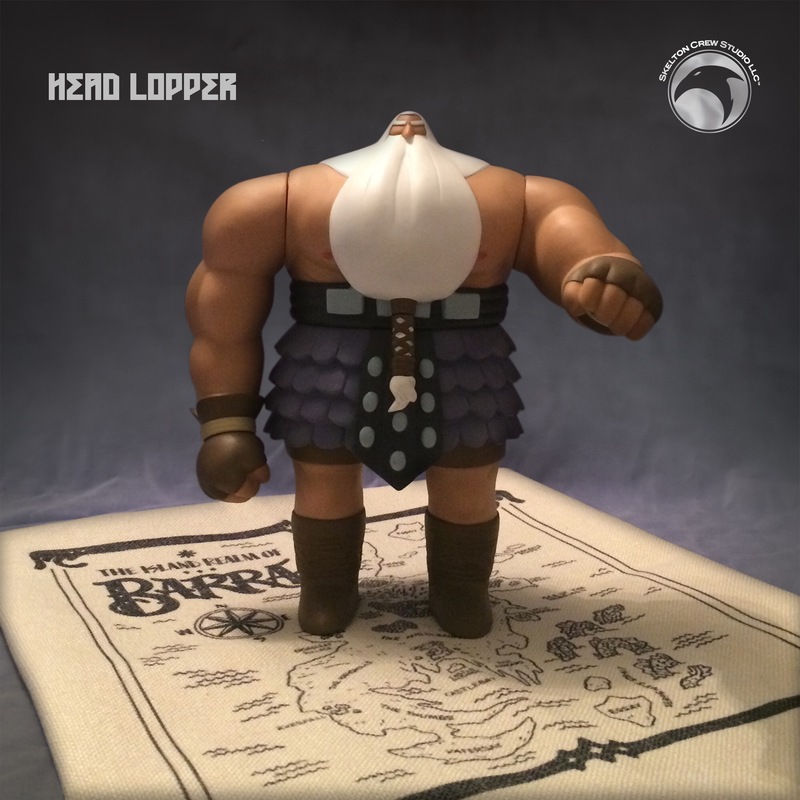 You can pre-order either of the figures for just $48 plus shipping on the Skeleton Crew Studio Online Store, and all orders for the standard version of Norgal received by July 1 will come with a bonus canvas Map of Barra, one of the settings in “Head Lopper,” also designed by MacLean.